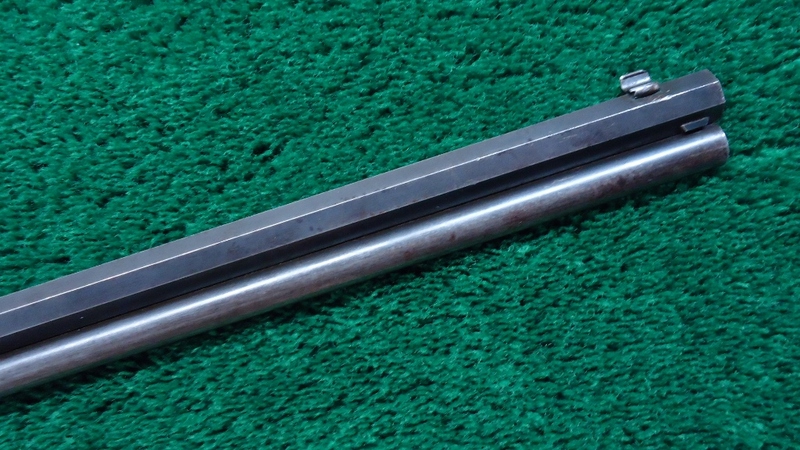 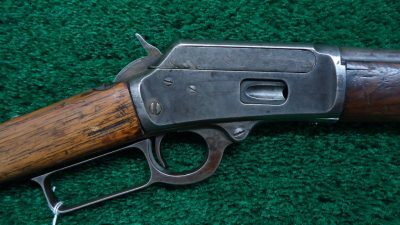 Orig 28 full oct bbl, full length magazine tube, orig sights include Marlin rear and folding tang, generally very good bore. 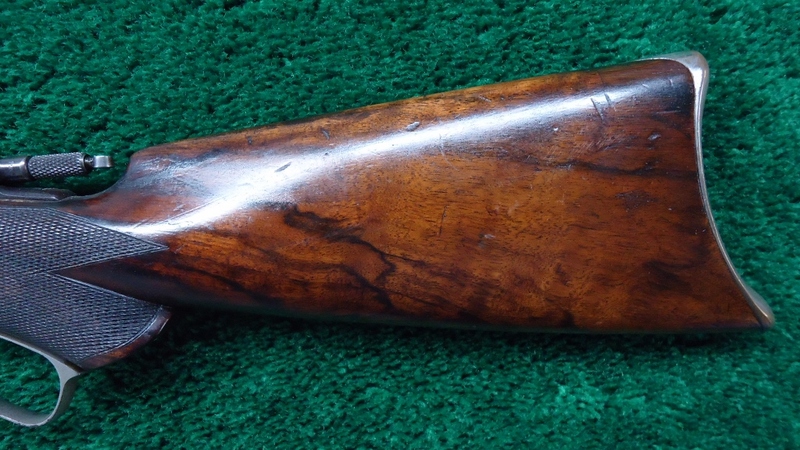 Orig pistol grip checkered Circassian style walnut is in very good condition with a few minor handling mars, no splits or cracks, rifle style buttplate. 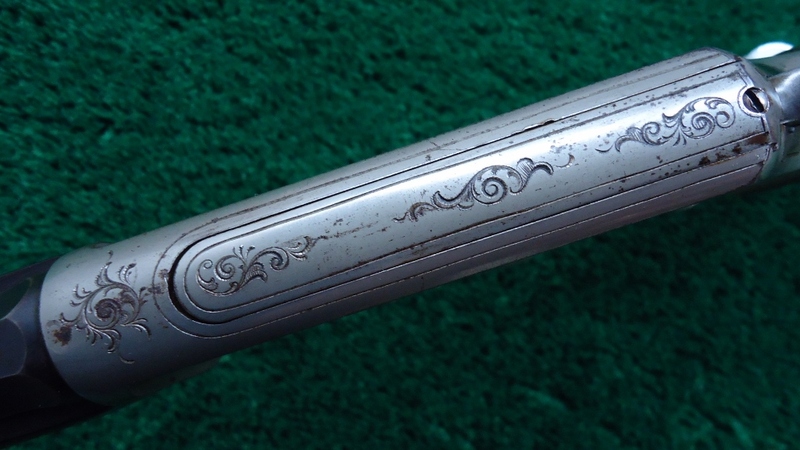 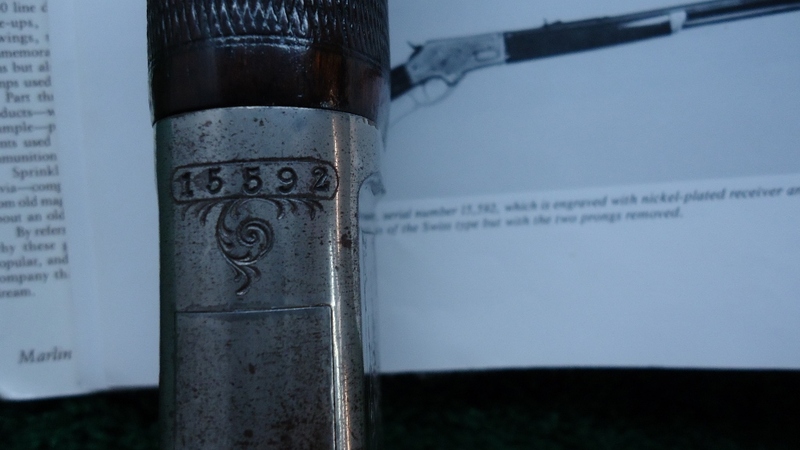 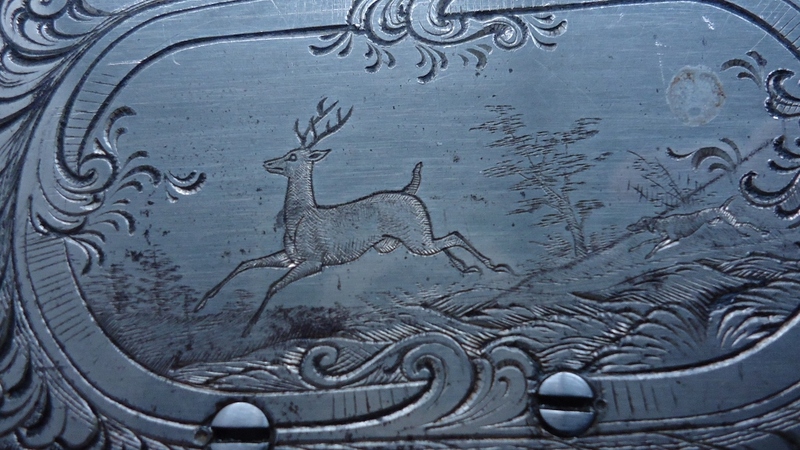 Gun is beautifully engraved in a bank note style of more elaborate than standard engraving featuring a grizzly bear on one side and a deer in an oval panel on the other side. 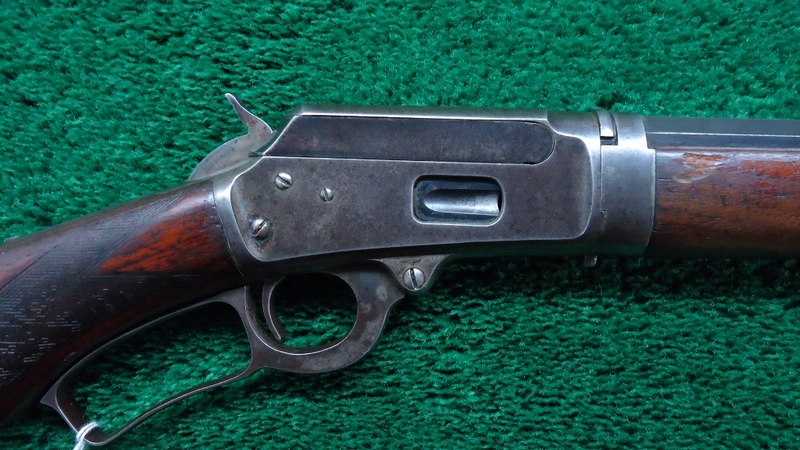 Overall gun is in fine condition with 75% toning barrel and mag blue, receiver is nickel plated and has turned a very attractive dull patina nickel coloration. 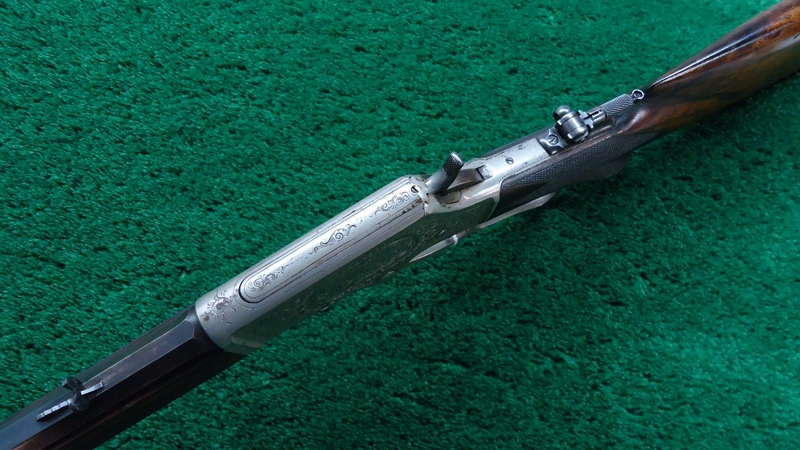 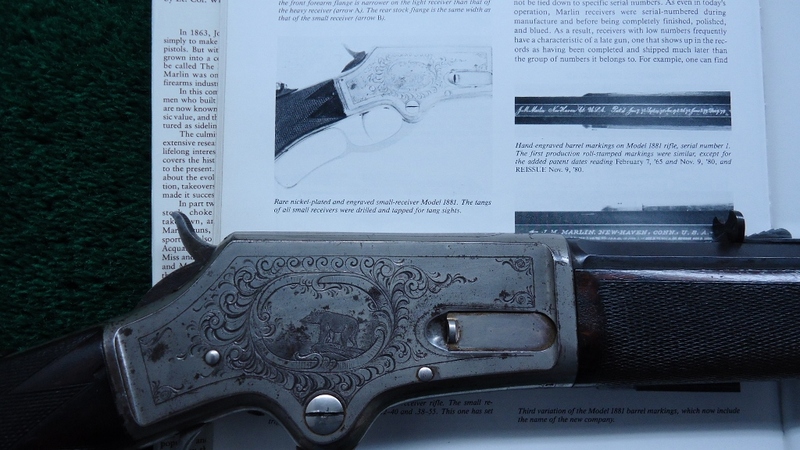 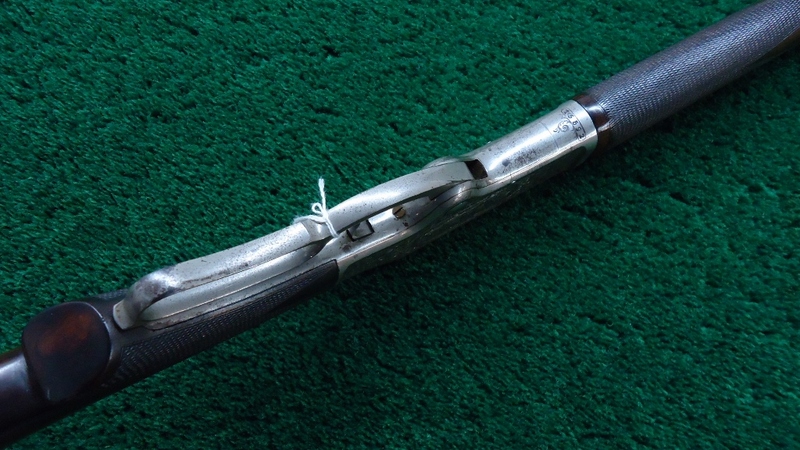 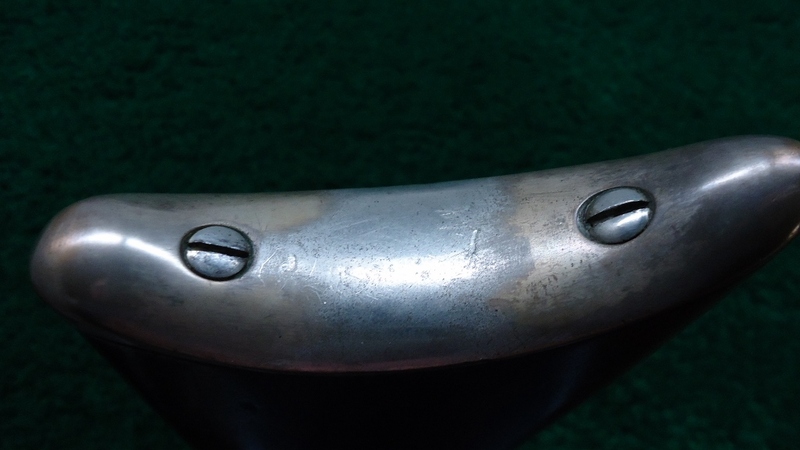 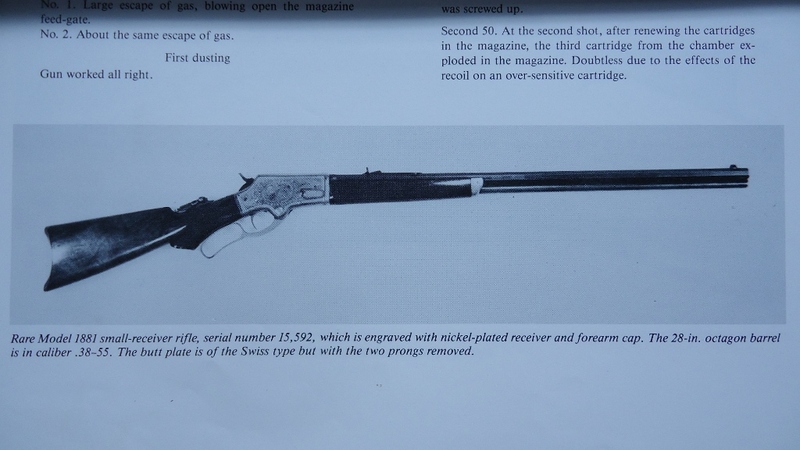 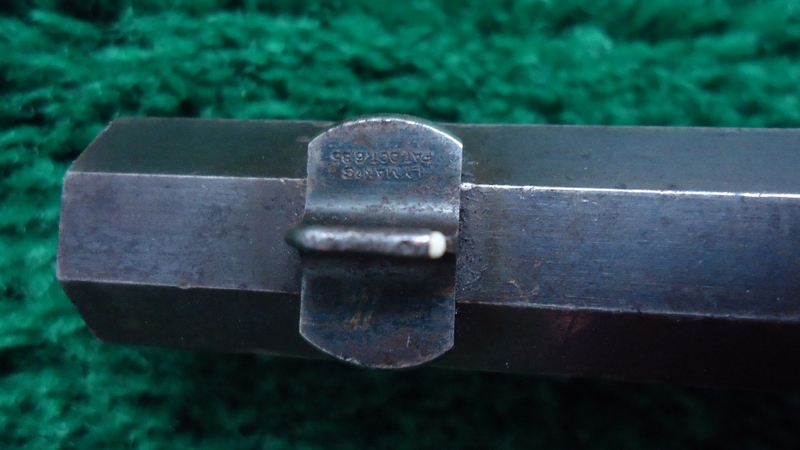 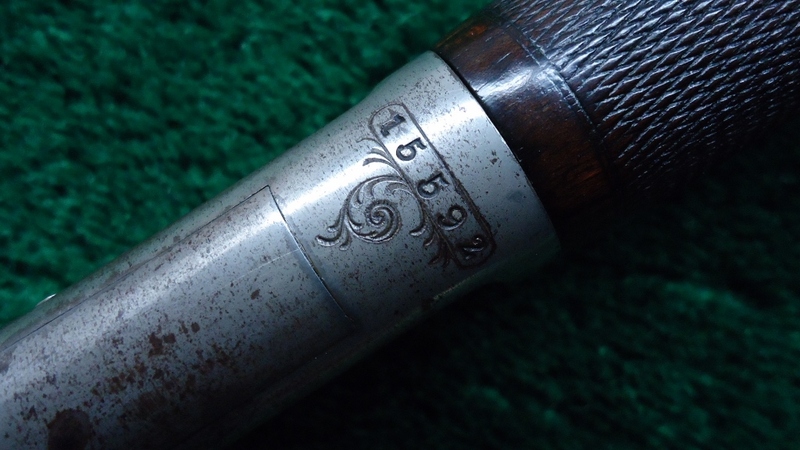 Gun was formerly in the Brophy collection, a historian for Marlin, and is one of the scarcer of the Marlin’s as there were only 3 or 4 of these ever engraved in the thin side lightweight rifle configuration. 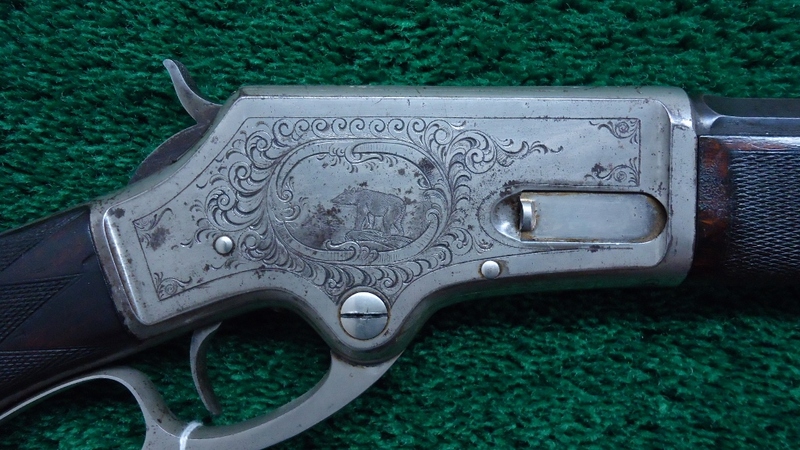 All original, fine little gun. 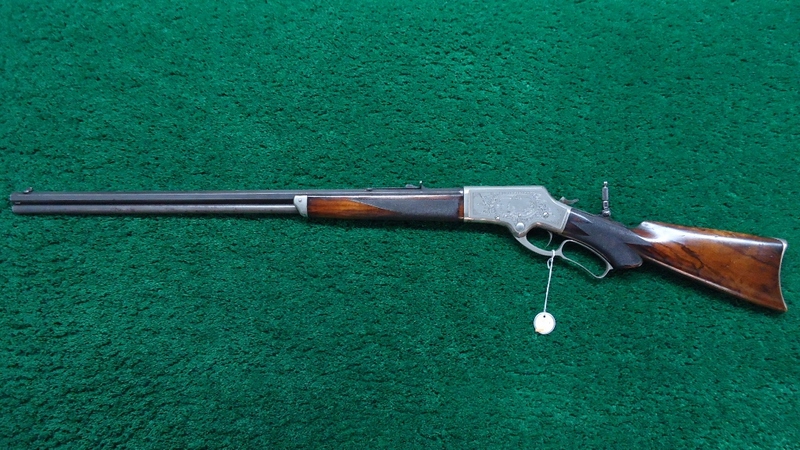 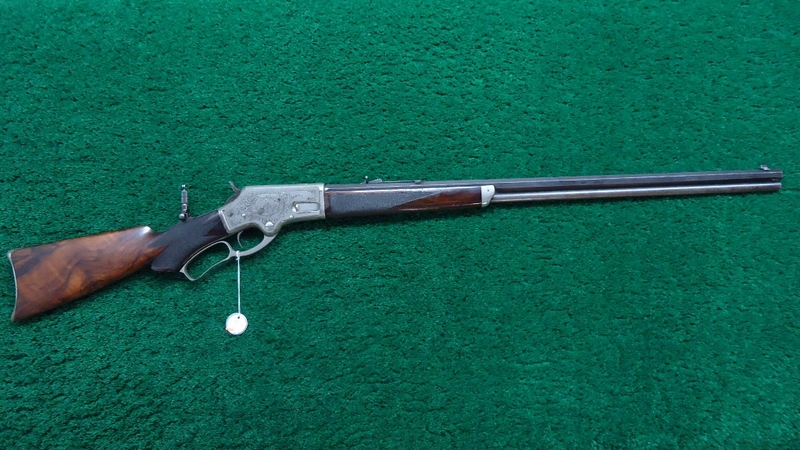 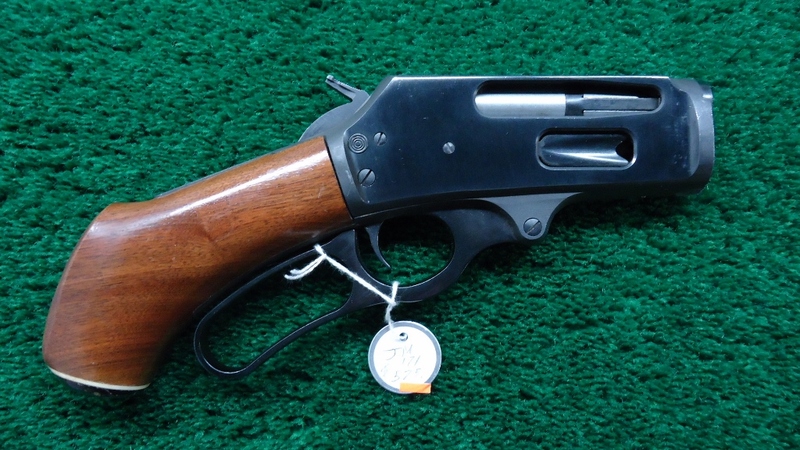 JM1036 MARLIN MODEL 1881 THIN SIDE LIGHTWEIGHT FACTORY ENGRAVED RIFLE IN 38-55; Orig 28 full oct bbl, full length magazine tube, orig sights include Marlin rear and folding tang, generally very good bore. 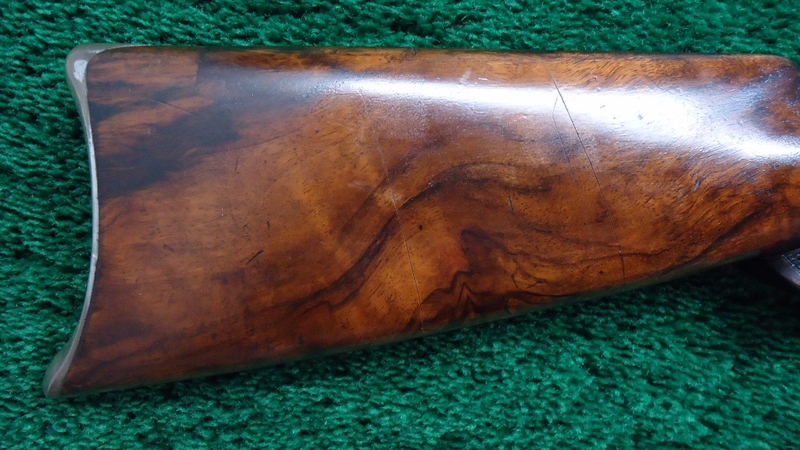 Orig pistol grip checkered Circassian style walnut is in very good condition with a few minor handling mars, no splits or cracks, rifle style buttplate. 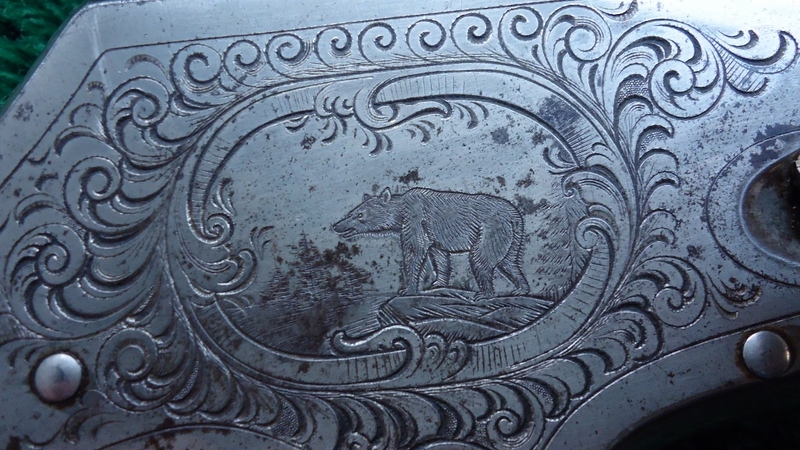 Gun is beautifully engraved in a bank note style of more elaborate than standard engraving featuring a grizzly bear on one side and a deer in an oval panel on the other side. 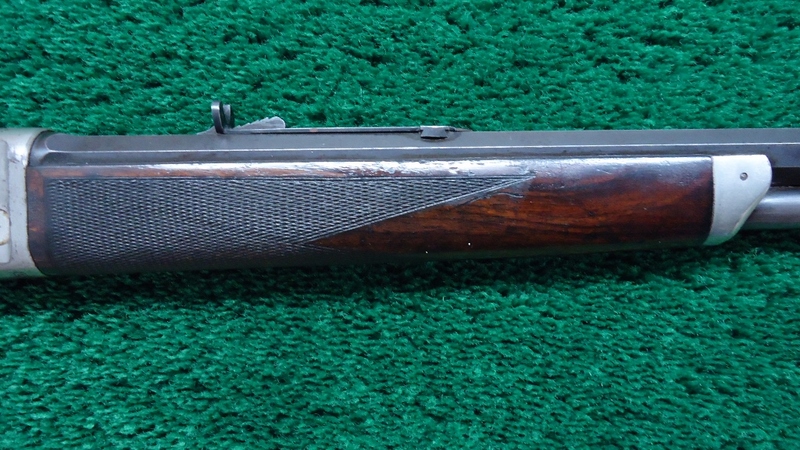 Overall gun is in fine condition with 75% toning barrel and mag blue, receiver is nickel plated and has turned a very attractive dull patina nickel coloration. 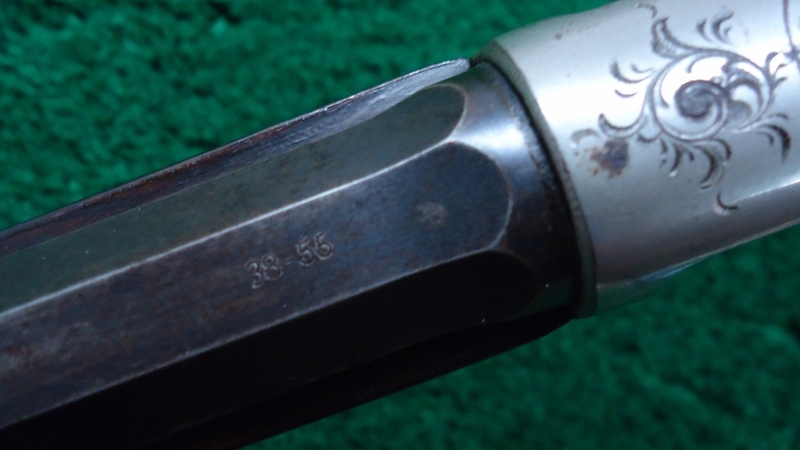 Gun was formerly in the Brophy collection, a historian for Marlin, and is one of the scarcer of the Marlin’s as there were only 3 or 4 of these ever engraved in the thin side lightweight rifle configuration. 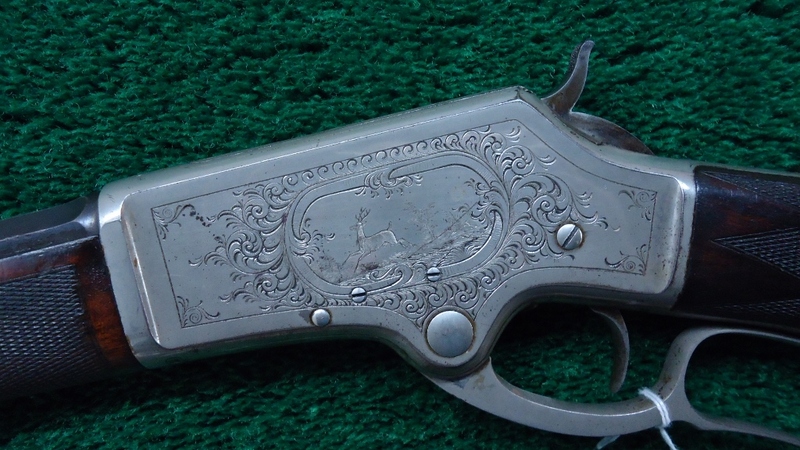 All original, fine little gun.